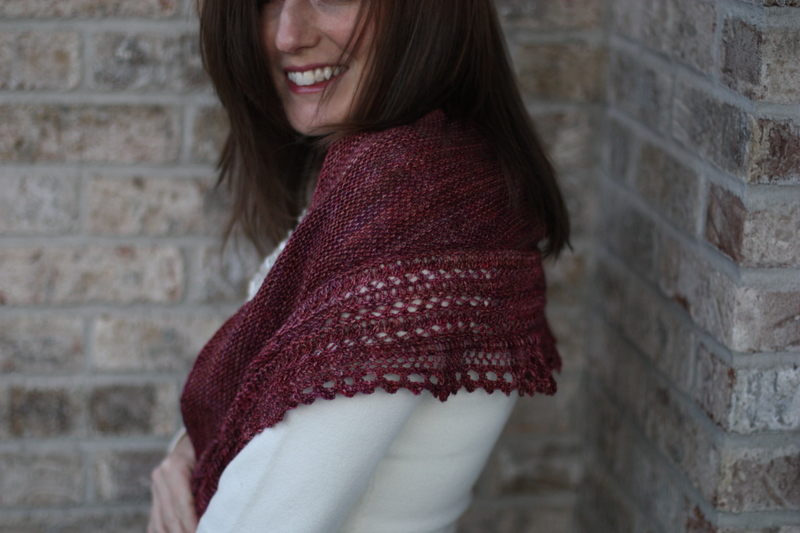 Beth Kling released her fabulous pattern Henslowe in December. Kara and I have each knit it twice! We love it! 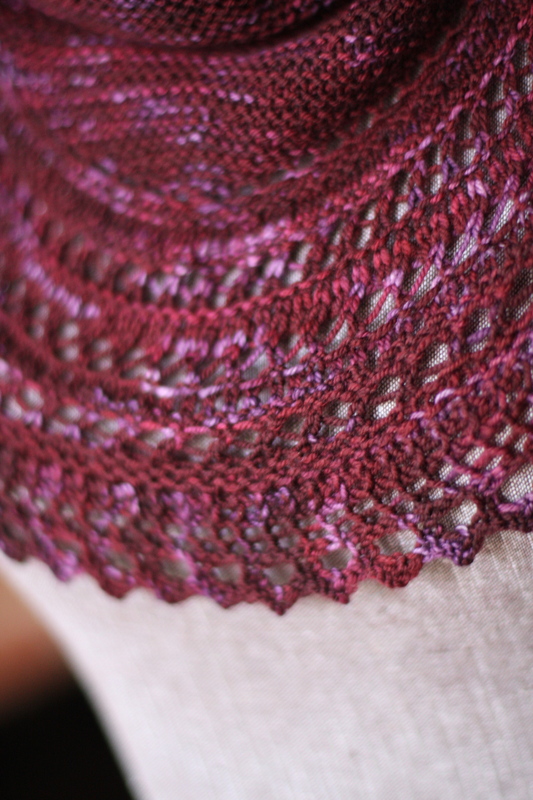 The construction is brilliant, fun to knit and the results are stunning. 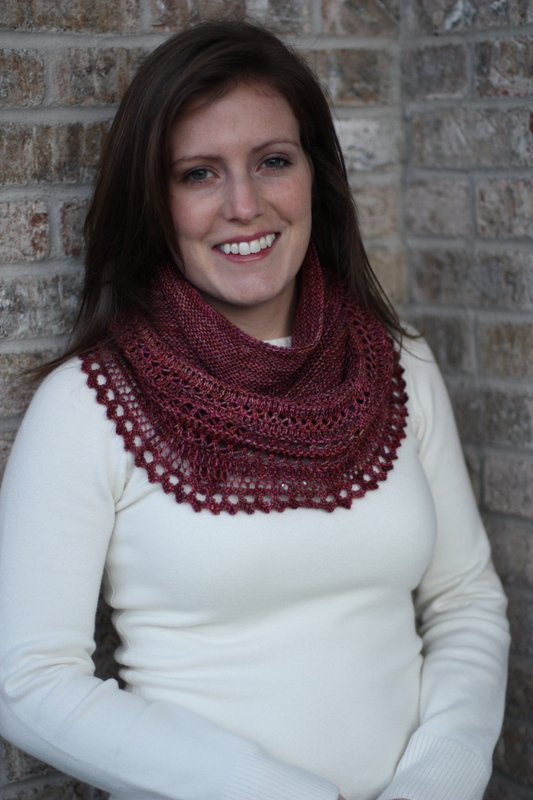 Kara said that she is fitting her wardrobe around the shawl so she can wear it as much as possible! We each knit one for a Christmas gift and kept one for ourselves. I admit, I've cast on a third! 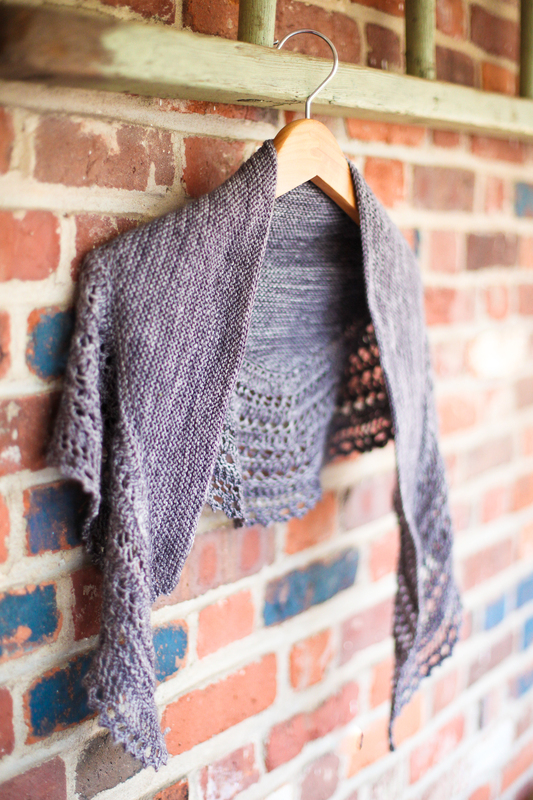 Here are Kara's finished Henslowes. Madelinetosh Sock in Byzantine Matthew took these photos and did a great job! 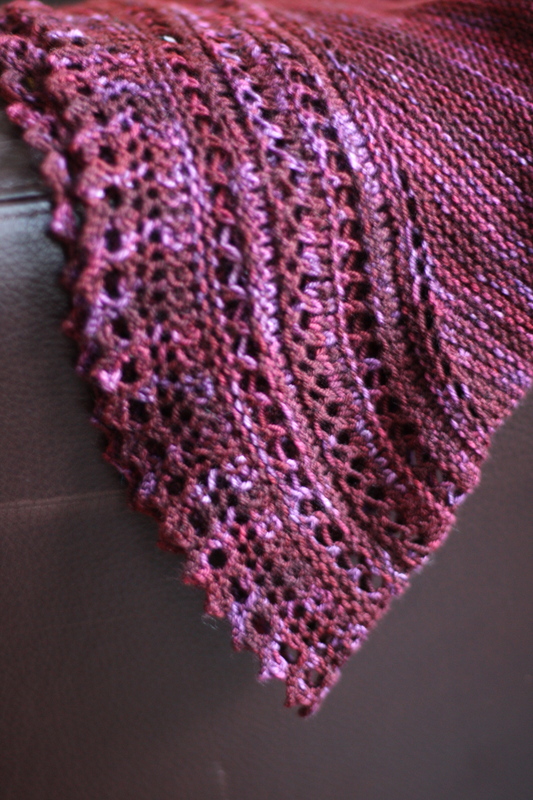 Matthew's Grandmother was the recipient of this Henslowe in Madelinetosh Rosewood. 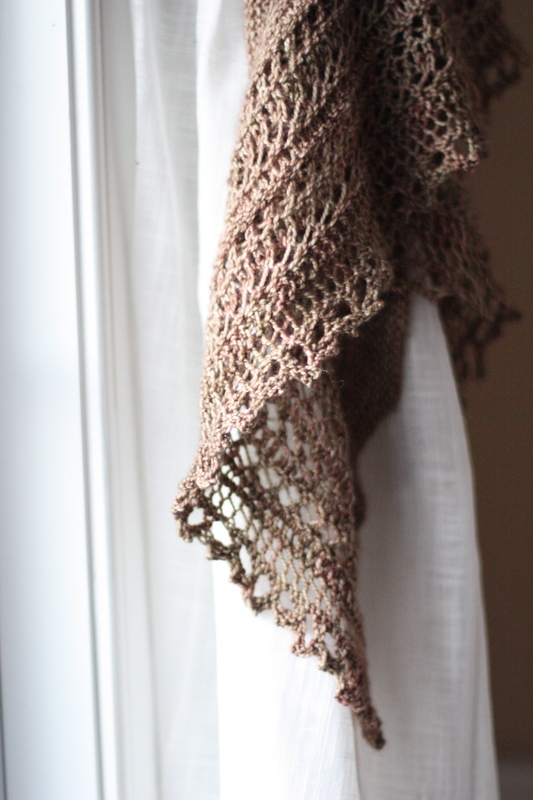 I also chose Madelinetosh for my first Henslowe (tern). My sister Betsy received this from our family's yankee swap. 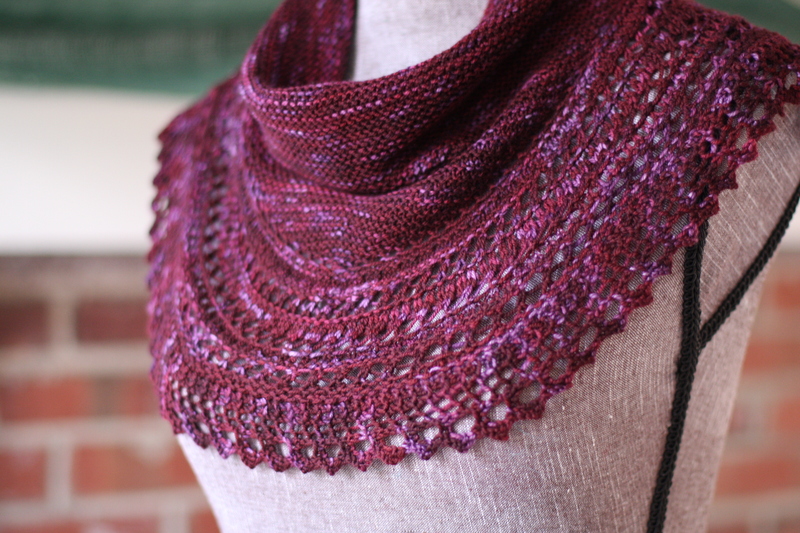 My first finished object of 2012! 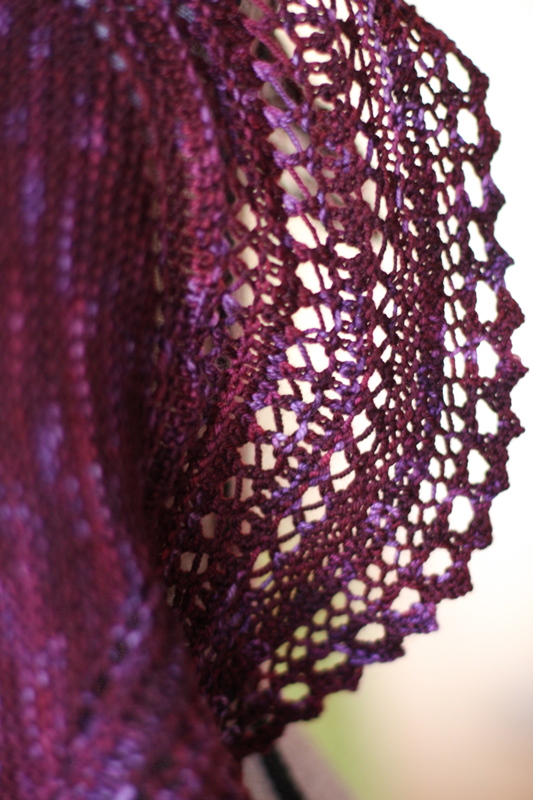 I chose Malabrigo Sock in Velvet Grapes colorway. 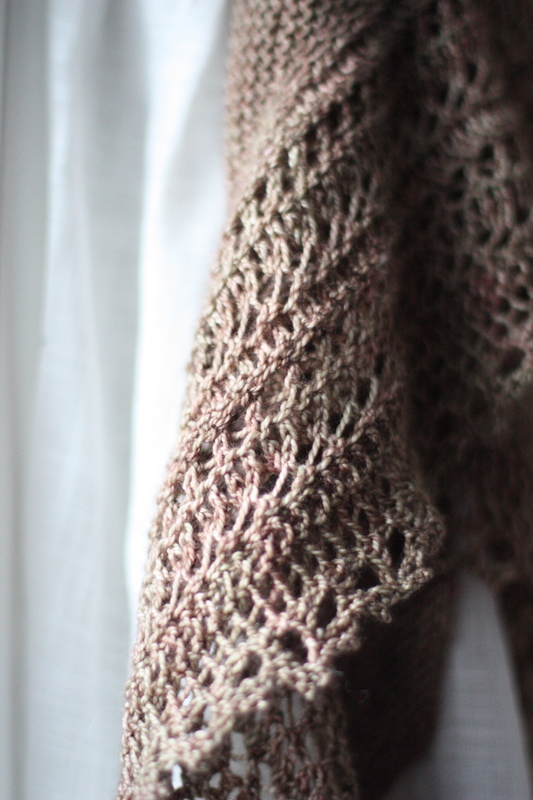 I am so pleased with the yarn! I will use it again, for sure. 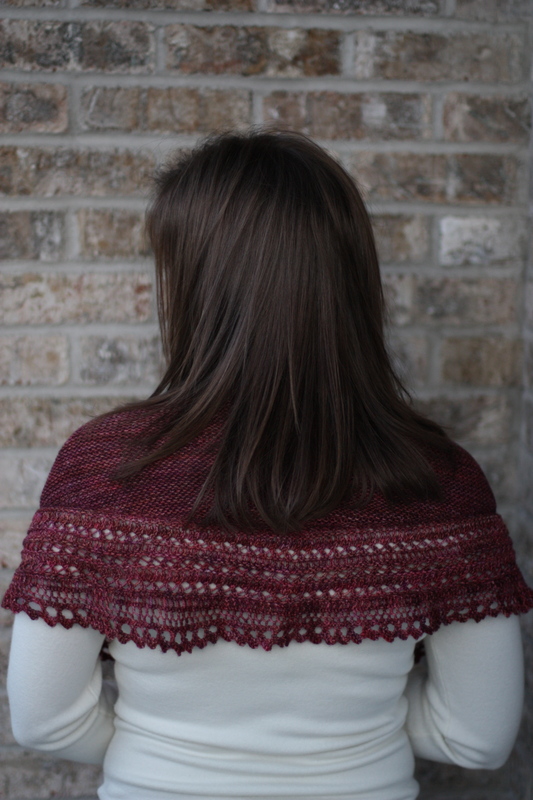 I contacted designer Beth Kling on Ravelry when I was waiting for the pattern to be released. Beth was very helpful and friendly. 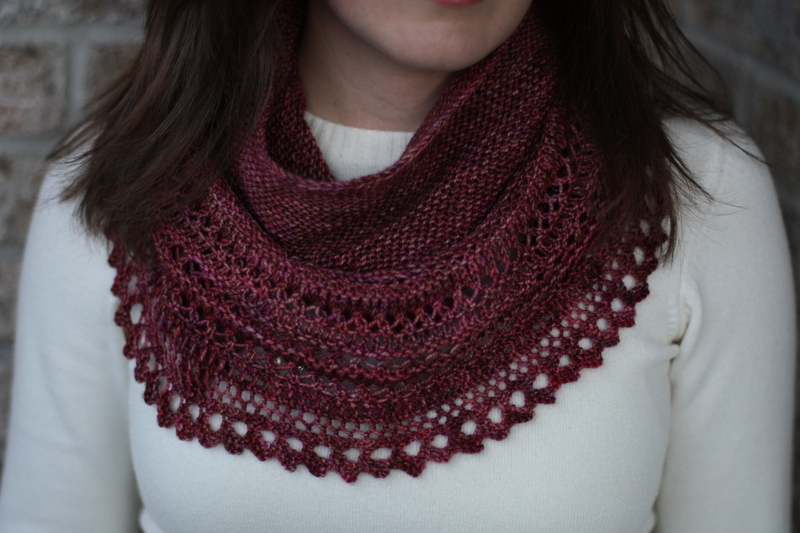 Thanks Beth, for such an awesome pattern! oh wow, they are both so gorgeous!! 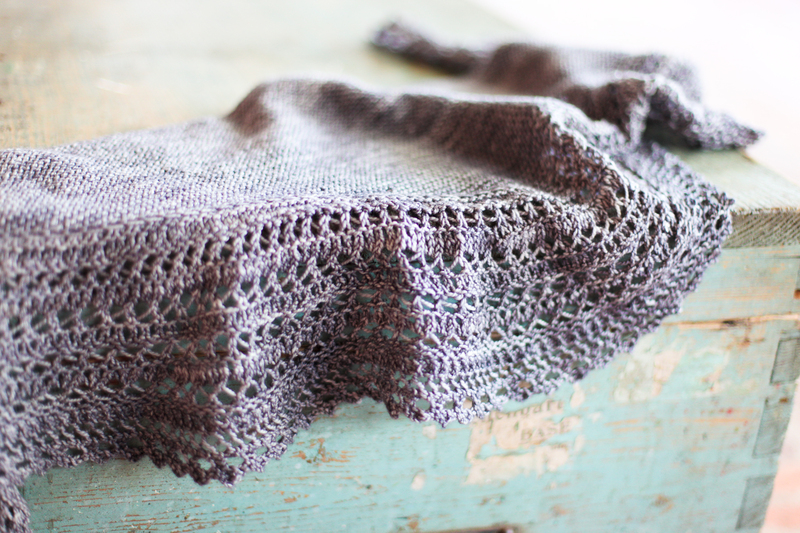 I love that lace edging, it’s perfection. Great job, both of you!